Each year we collaborate with an amazing variety of change-makers to create life-changing programs. We value our our partnership with you–the schools and colleges, youth-serving non-profits and for-profit organizations–who share our vision for a more resilient and compassionate world with more resilient and compassionate people. We are humbled by your mission to serve, and inspired by your compassion and determination. Please join us in celebrating our collective 2018 impact and enjoy the student, staff and supporter reflections that follow. We wish you all a very Happy 2019 and look forward to future adventures with you! I am capable of being a leader. I learned the true beauty of active listening and experienced the glory of nature. I have absolutely grown on this course, not only as a leader but also (and more importantly) as a person. VOBS programs align with our mission by offering youth the opportunity to challenge themselves and explore their strengths in a unique setting. One day while I was canoeing I’ve seen a rock and look how small it was, but it was changing the flow of the river and I tell myself about that moment– if a small rock could do that to the big Saint Croix River, I could do that too. I love the people I work with, but I also love the natural, inspirational beauty of the mountains, lakes and rivers that I get to call my office. The magic of the environment is a powerful main ingredient of every VOBS course. Dear Dad, I know you didn’t want me go on this trip, but it was actually very fun. I know you saw me as your indoor daughter but I wanted to enjoy outside things….I was able to look up at the sky and enjoy the view it gave off. I learned that I am a strong person that will not give up easily. During this trip, I have grown stronger with the help of those around me. I journey with students through their ups and downs — both real and metaphorical storms and sunshine. The dynamic nature of expedition life illuminates the ways people change, learn and grow. 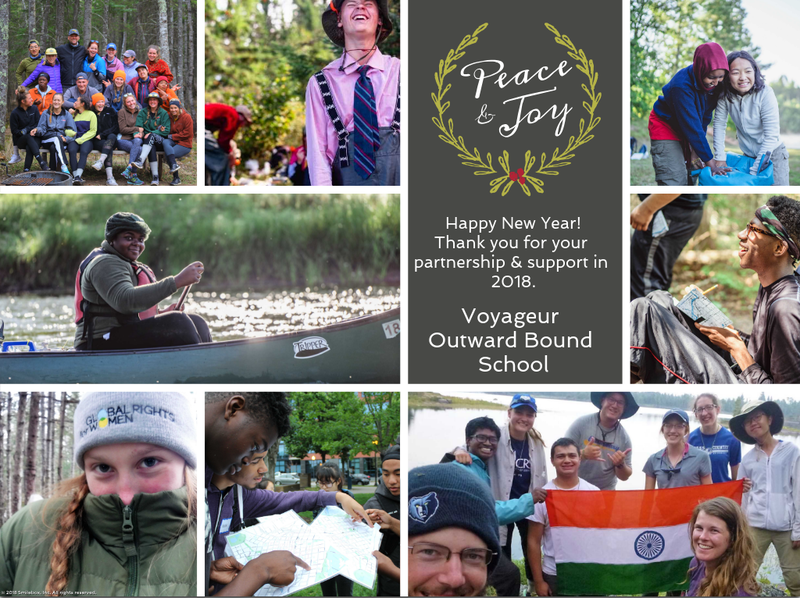 Voyageur Outward Bound creates a path toward resilience and leadership. Participants come away with an increased sense of confidence, development of interpersonal skills, and increased dedication to hard work. Life is a team sport. If we all invest in it, we can move mountains. Strength doesn’t come from what you can do, it comes from overcoming the things you thought you couldn’t. It is from the contrasts and reflections of our own experiences that we learn from those we meet. We find the unique differences and joyful commonalities between where we are and where we come from.